Note: Because only the students who have been admitted for the program of the university are eligible for the application of scholarship, those who want to apply for scholarship should submit the application documents for the program and for the scholarship together before the deadline for the scholarships. Note: Before submitting the application, please make sure that the forms are filled correctly and completely, the form format is standard, the contents are authentic and the documents are complete. Please submit application documents directly to Foreign Affairs Office of Chongqing Medical University by email or by post. Those who will submit by post had better first email the scanned copy of all the documents to us, so that we can check whether they are complete before they are posted. The Physical Examination Record for Foreigners can be submitted after the first review of the application documents. They should submit the application documents for the program and for the scholarship together. Bachelor program: applicants should apply to either the Chinese diplomatic mission in the applicant’s home country or the embassy of the applicant’s home country in China and the application documents should be forwarded by the above organizations to CSC by April 30. Please contact the above organizations for the application deadline. Individual applications are not accepted by CSC. Application documents will not be returned. Master and Ph. 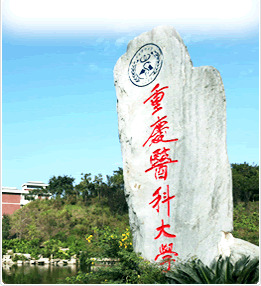 D. program: applicants can apply directly to Chongqing Medical University. The printed copy (in duplicate) and scanned copy of the documents should be posted and emailed to the university before March 30. They should submit the application documents for the program and for the scholarship together. Please submit application documents directly to Foreign Affairs Office of Chongqing Medical University first by email for us to check, and then by post, because some of the documents must be the original copy. Physical Examination Record for Foreigners must be submitted together with other documents. In principle, CQMU does not accept individual application for MBBS program from the countries where we have authorized consultancies (please refer to IX. Authorized Consultants below). The applicants should submit application documents to the consultancies some time before the deadline. Usually CQMU offer visiting program all year round. Applicants had better not apply during the summer and winter vacation.